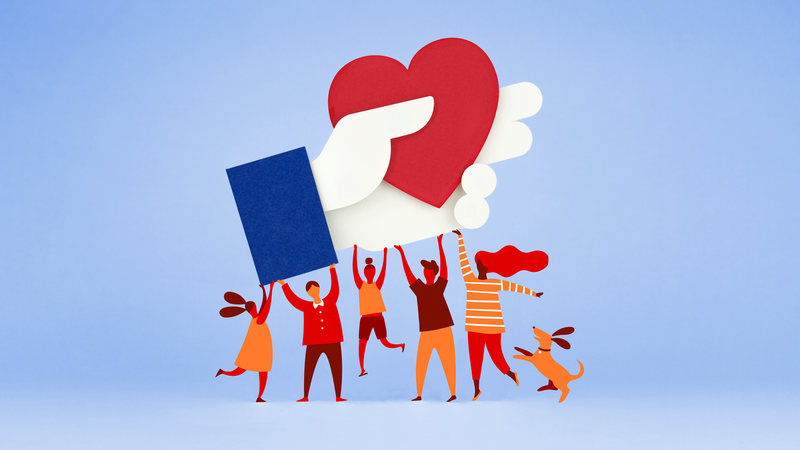 After hearing requests from supporters who wanted to raise money for OneWorld patients for their Facebook birthday fundraisers, OneWorld took the necessary steps to set up an official nonprofit account through Facebook. Now, anyone who is interested in raising funds for OneWorld patients throughout the year can do so through Facebook fundraisers. All donations raised for OneWorld through Facebook will go directly to ensuring that we can continue to provide culturally respectful, quality health care for everyone. All of us at OneWorld thank you in advance for any donations that might come our way because of your efforts! Step 1: Create a post/status update, then scroll down. 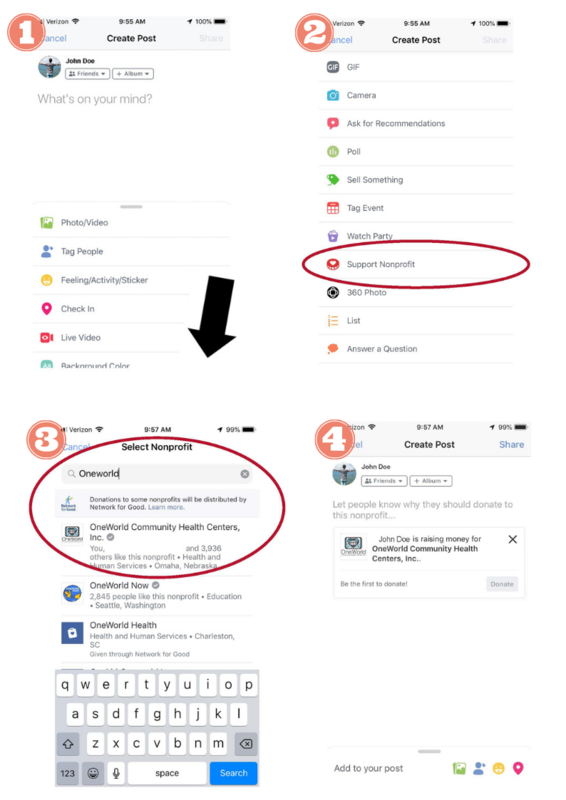 Step 3: Type in “OneWorld” and select “OneWorld Community Health Centers, Inc.”—not “OneWorld Now” or “OneWorld Health”! Start a regular fundraiser: https://www.facebook.com/fundraisers. Click the blue “raise money” button and follow the directions to create a customized fundraiser. 1. Tap the button in the bottom right corner that looks like three horizontal lines. 4. This opens www.facebook.com/fundraisers. Click the blue “raise money” button and follow the directions to create a customized fundraiser. A few weeks before your birthday, Facebook should ask you if you want to start a fundraiser. When you receive that notification, follow Facebook’s instructions to create a birthday fundraiser. If you don’t receive a notification, here’s a direct link to create a fundraiser for your birthday. If you have any questions about Facebook fundraising, please feel free to contact our Development team at development@oneworldomaha.org. Thank you for your support!